A dentist may use x-rays for the purpose of checking for problems that are not visible during a regular dental examination. Depending on what is being examined, there are several types of x-rays your dentist may choose to use. Periapical x-rays let the dentist view the entire tooth from root to crown. Bitewing x-rays show just the upper area of the back teeth. Occlusal x-rays are for the floor or roof areas of your mouth. Panoramic x-rays show everything in the jaw and sinus areas. 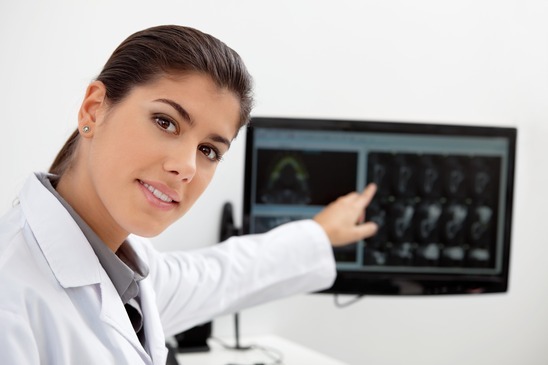 Your dentist may choose to use one or more of these types of x-rays in order to make a more thorough examination of issues that affect your entire mouth. All types of x-rays use radiation. However, radiation levels used are very small and limited to the mouth area, reducing your exposure. To limit your exposure even more, a lead apron and collar are used to block radiation from entering through other areas of the body. It is important to see your dentist every six months, and to receive x-rays every one to three years, depending on your circumstances as determined by your dentist. For service in or around the Bolivar, Missouri area, schedule an appointment with the friendly dental team at Bolivar Family Dental. Our goal is to diagnose current and future dental needs, while designing customized treatment plans that best fit the individual patient needs and expectations. We want to educate our patients about their specific oral health condition. This will allow us to help the patient prevent costly and unnecessary future dental needs. Feel free to call us at (417) 777-8654 with any questions or concerns you may have about dental x-rays. Click the Schedule An Appointment button above to set up a dental check-up.